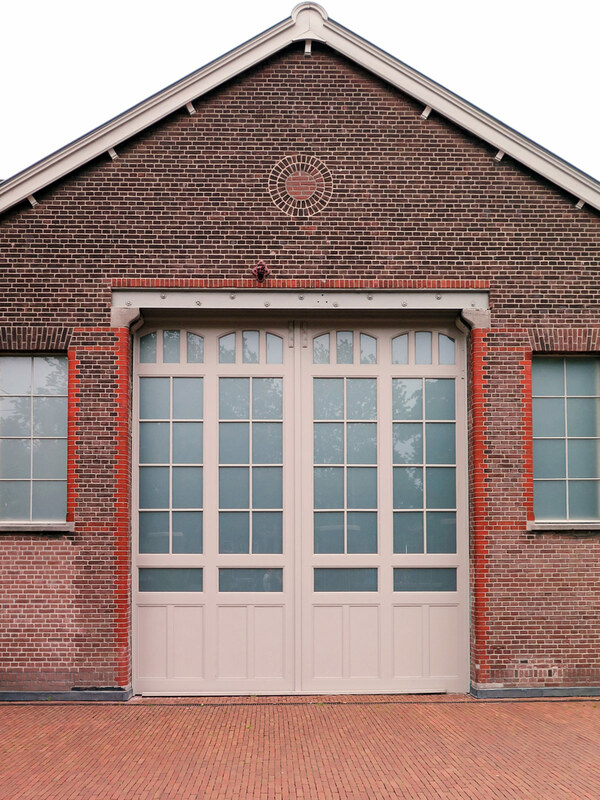 A few years ago De Hallen opened in Amsterdam West. It’s a building that used to be a tram remise, built in the 19th century. This tram remise had been empty for a while which is a shame because it’s a beautiful authentic place. Luckily, in 2010 a few initiative takers and people from the neighborhood decided to bring it back to life. Now, 7 years later, it’s indeed a lively hotspot with weekly markets, a food hall, cinema, library, hairdresser, maker store, a hotel and many more interesting spots. Remise 47 is a restaurant which is part of design hotel De Hallen. 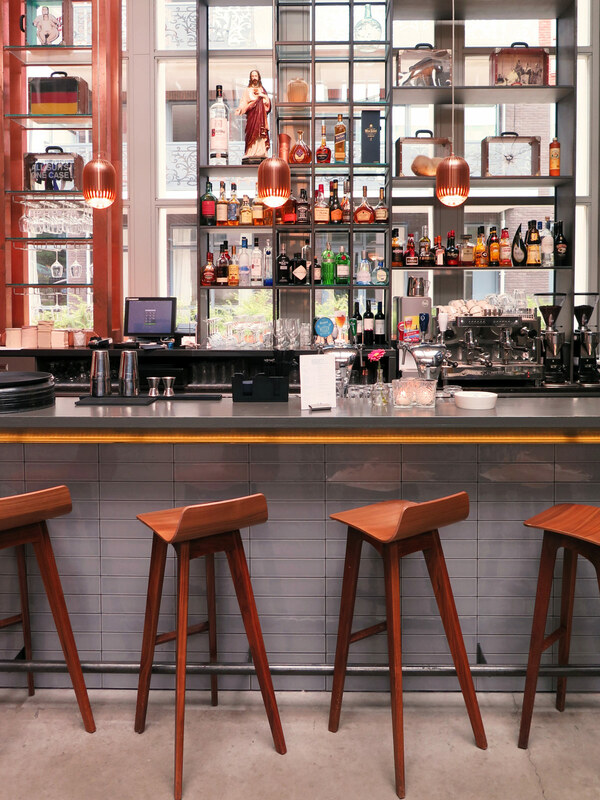 They serve food from the French and International kitchen with a modern twist and are open 7 days a week for breakfast, lunch, diner and drinks. The ambiance inside is exactly what you would expect from a design hotel: Beautiful different settings for every corner with a very original feel. Their terrace is quite big and situated on Bellamyplein, which is around the corner of the Ten Kate Market and the peaceful yet charming Bellamystraat. 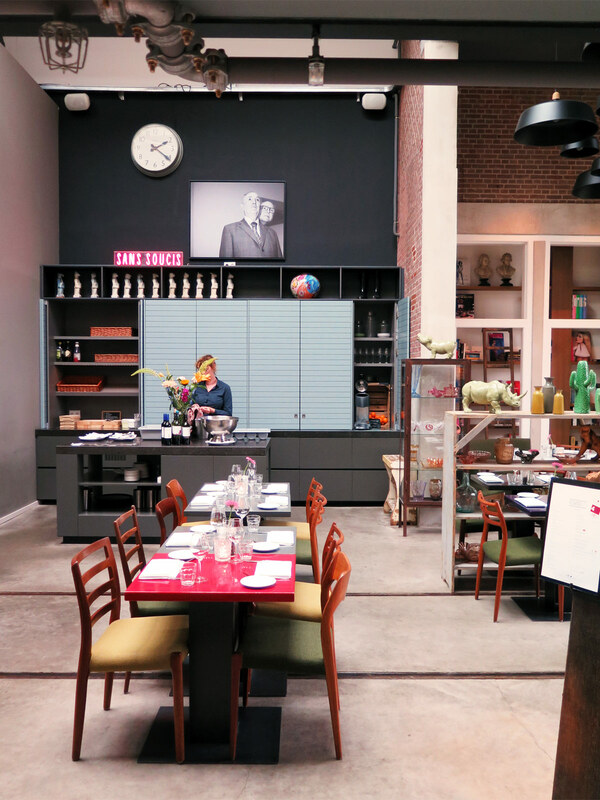 Before or after taking a stroll around the neighborhood and inside De Hallen, why not go for lunch at Remise47? 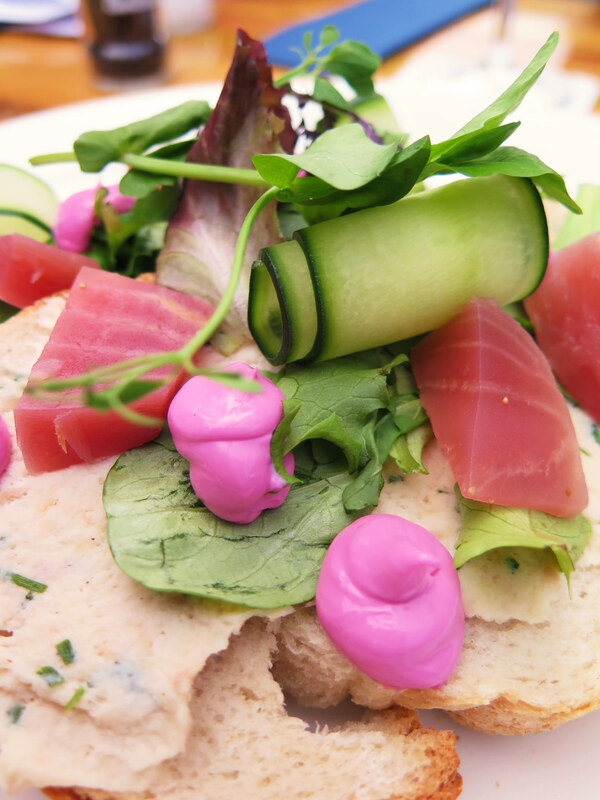 Take a seat on the sunny terrace and order something like a Caesar salad, Fish soup with St. Jacobs scallops, a Brie Sandwich with raisins and red cabbage or a sandwich with a rillettes of smoked trout, cucumber and beetroot. Add a few glasses of Chilean white wine, and you have yourself a good match. The plates are all very colorful. Look at that rolled up cucumber and little drops of pink beet curd, it’s like an eatable painting! When you decide to explore the neighborhood around De Hallen and the Ten Kate Market, which is a bit off the beaten track, Remise 47 is a perfect place to have some quality eye catching food or drinks for a decent price, any time of day.